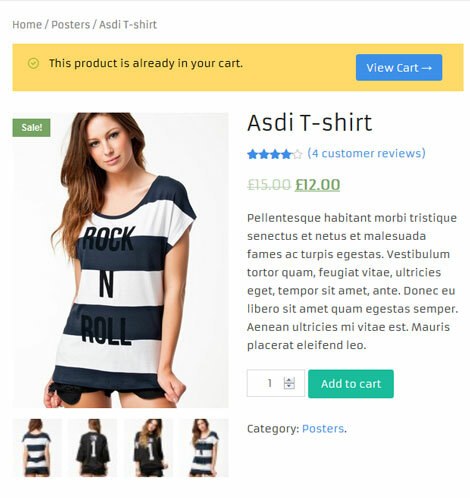 In the past couple of years, we have covered plenty of WooCommerce themes and plugins to build a sophisticated e-commerce store. The WooCommerce Products Already Added to Cart/Purchased plugin is designed to keep your customers from unintentionally purchasing the same items multiple times. The plugin is pretty simple to use and highly customizable. You may customize the Already In Cart / Already Purchased text from the backend. You can also disable the features that you don’t want. The plugin is ready to be translated. It gives you full control over messages shown to your customers. This commercial plugin simply alerts your visitors when they are about to purchase a product multiple times unintentionally. More information is available here.